"Blade and shadow, silence and death - these are my arts. For a modest fee, I'll make great art for you." The Hitwoman was a girl born to an assassin. She quickly learned assassin skills due to her natural talent and lust for killing. 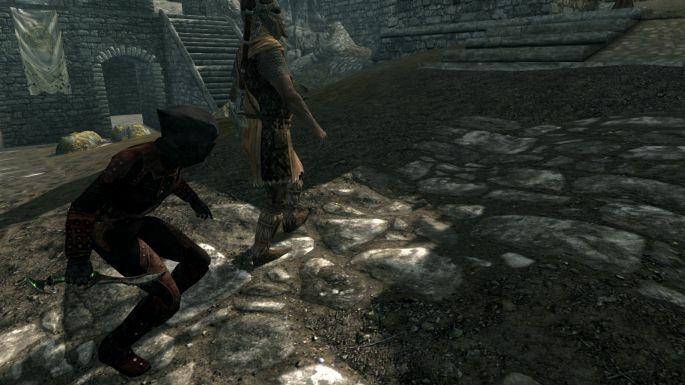 One day while roaming the lands of skyrim, she was captured by the Dark Brotherhood. She quickly joined their ranks and one day the brotherhood was destroyed. She recreated the brotherhood with Nazir and Babette and leads a comfortable life. She also performs hits for people.. 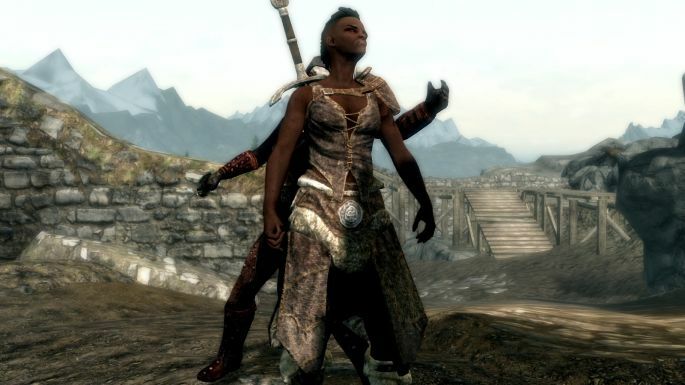 The Hitwoman first sneaks behind people and kill them using her dagger. If this is not possible she uses her frenzy spells to let other people do the job.